EyeCGas® CO is a handheld OGI camera for CO gas leak detection. With this camera you can safely and remotely detect and locate carbon monoxide as well as other harmful gases emissions. It is also the only OGI camera that is certified for ATEX zone 2 and UL class I Div II, hazardous environments. The EyeCGas® CO allows for routine and on-demand inspections in the steel manufacturing operations and other industries where CO emissions need to be closely monitored. EyeCGas® CO helps you detect and repair toxic gas leaks inside the facility, including vent stacks or pipes. It also allows video and audio recording, while maintaining safety. Whether these toxic gases are part of the manufacturing process, or a byproduct of the production line, EyeCGas® CO helps increasing safety and protect the environment. Steel manufacturing, food packaging, pharmaceutical, industrial vent stacks monitoring, and microelectronics applications. EyeCGas® CO is an innovative product for gas leak detection that allows for safe, quick, and cost effective detection of carbon monoxide emissions. 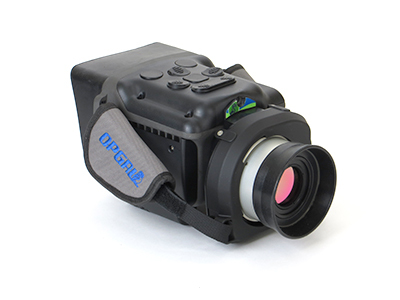 Moreover, it is the only OGI handheld camera for use in ATEX zone 2, UL class I Div II, and CSA hazardous environments. For more information or a quote, contact us today.